The news surprised fans and came soon after Netflix axed another live-action Marvel series, "Iron Fist." Netflix didn't provide a reason for the cancellation. 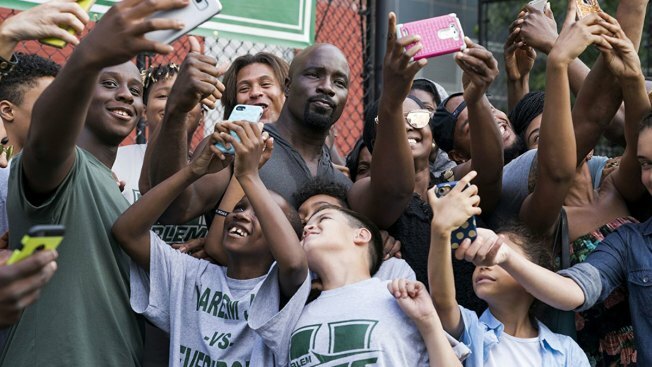 The Marvel universe just got a slice smaller on Netflix with the cancellation of "Marvel's Luke Cage" after two seasons. "Unfortunately, Marvel's Luke Cage will not return for a third season," said a statement released by Netflix. "Everyone at Marvel Television and Netflix is grateful to the dedicated showrunner, writers, cast and crew who brought Harlem's Hero to life for the past two seasons, and to all the fans who have supported the series." Netflix didn't provide a reason for the cancellation. An email request for additional comment was not immediately returned Saturday. "A lot memories. A lot of individual thank you calls to make," he said. "Just want to say thank you to Marvel, Netflix, the best Writer's room, cast, crew, the Midnight Hour, all those who graced the stage at Harlem's Paradise and the most incredible fan base in the world. Forward always..."
Disney, Marvel's parent company, is working on its own streaming service.